In the years after the death of the legendary Robert Shaw, the ASO Chorus is working to preserve his legacy: an extraordinary standard for vocal music. Robert Shaw was a unique musician in a very particular sense. Music directors of major symphony orchestras, as Shaw was in Atlanta for 21 seasons, don't take personal charge of turning 200 unpaid volunteers into a superb chorus before leading them in world-class performances of such masterpieces as Haydn's Creation or Berlioz's Requiem. Instead, virtually all music directors ask others to train their choruses - others who try to teach essential minutiae of diction, tone color, phrasing, vocal production, pitch, rhythm, and the thousand and one other details that go toward building a symphonic chorus. But Robert Shaw himself taught his choruses all those things, for all those 21 years and then for another 11 as the Atlanta Symphony Orchestra's Music Director Emeritus and Conductor Laureate, until he died at age 82 at the height of his powers - and usually did it better than anyone else in the world. But that's only part of the reason eyebrows went sky-high around Atlanta Symphony Hall in 1999 whenever anyone asked, "Who's going to replace Robert Shaw?" Those who know the Atlanta Symphony Orchestra Chorus (there are actually two groups, counting the 180-voice symphonic choir and the 60-voice Chamber Chorus) only from attending its performances may not fully appreciate the loss its members felt over Robert Shaw's passing. Shaw was a national and international icon of the choral conducting profession, and he brought a contagious enthusiasm to his work. ASO bass Sam Marley, who once attended an out-of-town choral workshop of Shaw's, recalls: "His most memorable remark to that chorus was 'Come back to Atlanta with me. We'll rehearse all day and sing all night!"' Many who sang in his choruses in Atlanta and elsewhere were themselves distinguished professional choral conductors. Others were people who came from far and wide, often even moving to Atlanta, purely for the experience of working with the man who set the 20th century's enduring standard for choral music performance. Some had literally grown up with the many published arrangements made by Shaw and his colleague Alice Parker. Describing her school experience, soprano Helen Purdon wrote, "I have been singing his music since I was seven years old. From the very beginning, Robert Shaw has been a name to revere." Shaw's musical accomplishments were not his only attraction for singers. He was a deeply philosophical yet wryly humorous man whose gifts for communicating the musical and humanistic qualities of the work at hand led singers to regard rehearsals and concerts as being far more than mere artistic experiences. Even when conducting choruses of two hundred or more voices, and especially during performances, Shaw had a way of making every singer feel that he or she was receiving his direct personal attention - "He was looking right at me when he gave that cue!" - a phenomenon that affected choruses profoundly. As soprano Karen Hritz put it following his death: "I was taken by complete surprise by the deep sense of loss I felt for this man whom I never even had a conversation with." Absorbing the initial shock of Shaw's death in January 1999, a number of mourning ASOC members opined that they wouldn't want to retain membership in the Chorus beyond the 1998-1999 season. But over the next several months, longtime observers of the group's dynamics began to notice a shift, from feelings of personal grief to a sense that if the Robert Shaw legacy were to be preserved anywhere in the world, it should be in the Atlanta Symphony Chorus, in the group that Shaw had created, nurtured, led, and considered his "home" for over 30 years. So, by the first rehearsal of the next season, a show of hands revealed that only a dozen or so of the 180 voices were new to the ASOC. "I remain to sing and to serve the music he so loved, " said alto Charlotte Goldman, "and that he taught me to love in a deeper way than I ever thought possible." 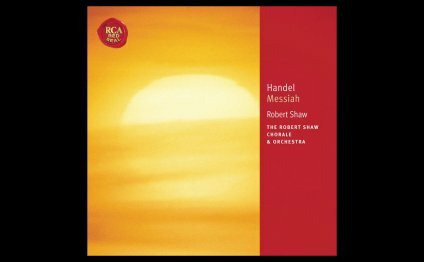 The great choral masterpieces of the orchestral repertoire are too compelling (and too potent a box-office draw) to ignore - think of the Mozart Requiem or Beethoven's Ninth Symphony, for starters - so the continuing existence of the ASO Chorus at the level of excellence attained under Shaw was a high priority for the Atlanta Symphony organization. Norman Mackenzie, Shaw's musical assistant and accompanist for over 14 years, has become nationally known in choral circles for his mastery of Shaw's techniques and philosophies. In the year 2000 he was appointed as the ASO Director of Choruses, in charge of all chorus rehearsals and performance preparation. Mackenzie has demonstrated to the Chorus's "old timers" that he is clearly committed to preserving the Shaw approach to choral preparation, so perhaps the greatest challenge facing the Chorus, as guest conductor William Fred Scott suggested to the group in 1999, is the need to be flexible enough to give its very best efforts to each of the many guest conductors it will see in coming seasons. Indeed, the choral programming for successive seasons has continued to follow the pattern established over a number of previous years, with powerhouse works that challenge the ASO Chorus to the utmost. And the Chorus, which in the past had only rarely been conducted by anyone outside the ASO "family, " now often sings for several guest conductors each season, some of whom are entirely new to the Chorus. The last word goes to alto Judy Young: "One of the main things I feared [in January 1999] was that our choral family would fall apart, but it hasn't done that. As with any other deep loss, we all know life will never be the same, but we can make it good."